My teacher often says that yoga is just about breathing and that asanas are just an extension of this. It’s one of those things I hear, but my brain can’t quite compute. Intellectually I think I get it, but experientially not so much. I mean I know that pranayama is one of the eight limbs of yoga according to Patanjali, and I know that there’s debate about whether these limbs are a sequential practice or (for the first five at least) aspects that interlink to be practiced together. 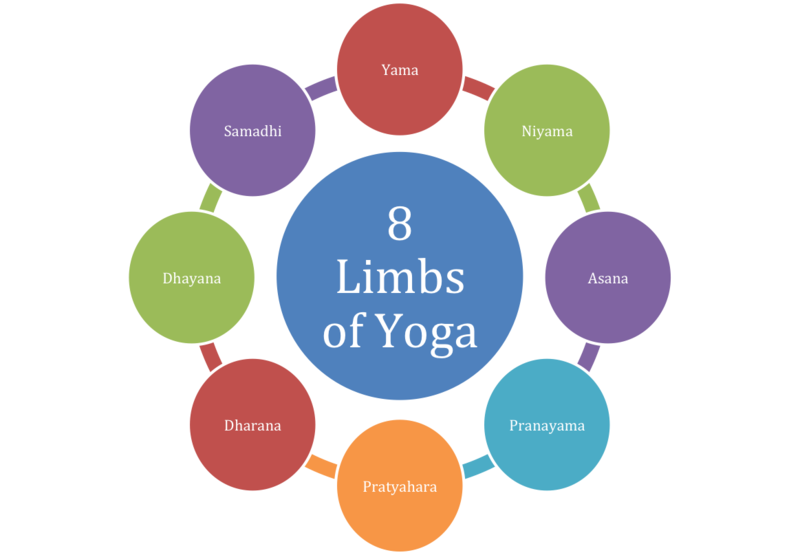 But I haven’t yet committed to a practice of pranayama and I don’t really feel what this ‘limb’ is is all about. And this despite the fact that I’ve played a little with pranayama recently after lovely fellow blogger kiwiyogirunner and I decided to get a bit more regular with our pranayama practice: neither of us were keen — but our sense of digital satsang encouraged both to try anyway. My recent experience at a yoga immersion brought me to confront all sort of aspects of practice that I’ve avoided: inversions spring readily to mind (well, they sure don’t spring anyhow else!) but I mean all sorts of other things I feel less comfortable about. Including pranayama! And actually for me the breath work was the most interesting aspect of all I think. We did some seated practice and some practice with movement and each was fascinating and powerful, and makes me want to practice more. I really sense this is the key to something that could change my practice of yoga quite dramatically. 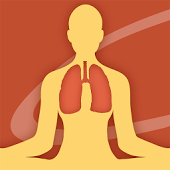 We started with seated pranayama to breath counts (4 at first, then 8, and I think we also did some retentions). Once I’d stopped getting freaked out by the idea that someone could actually dictate to me what breathing pattern to adopt (my inner rebel just loved this — not!) and I settled into it, it was very soothing — almost as though we were some kind of combined organism breathing together. But did I really just sit and breathe on command to a rhythm that was imposed on me for half an hour at a time? I don’t like being told what to do, so having someone dictate such a basic physiological function for me seems pretty extreme. If I resisted it, it was horrible. If I went with it, it was wonderful. A whole room of inhales and exhales felt amazingly supportive and uniting. And the partner work simply listening to and physically feeling each other’s breathing was incredibly moving. It was like feeling a cat purring or perhaps holding a baby (though babies tend to induce a state of panic in me personally…). Intimate. Moving pranayama, practising surya namaskara to metronomic breathe cues, was seriously challenging. Fortunately I was a lot less resistant to this and in fact it’s something I try at home from time to time. I have always felt a bit weird doing it. I mean in some ways vinyasa is a very creative style, isn’t it? And I thought that practicing to a strict time beat was the opposite of that creativity and that my nerdy disciplined instincts might be totally off and making my practice really joyless. Now I’m coming to realise that the regularity in timing is a completely different facet of practice. Back in the immersion: we practised surya namaskara aiming to transition between each asana for a count of four, being constantly in movement and with uninterrupted flowing breath. We watched our partner doing this. My partner had a beautiful-looking practice with deep poses way beyond what I can achieve, but on the other hand she didn’t really do what we were asked: she simply practised to her usual rhythm which meant that she was often left dangling in a pose for the final 3 counts rather than achieving ceaseless movement. My poses were much less strong but I felt that I kept on the move. And wow — the mental focus this required was really intense. So a lesson in pratyahara for free! But this focus was where the magic was for me. It demanded such quiet, steady concentration. If my mind wandered, my breath did too and everything fell apart. If I could keep focus, it was as though nothing else existed. Just me, my inhales and exhales, and the regularity of the teacher’s “inhale, two, three, four, exhale, two, three, four”. I was dimly aware that vinyasa is meant to be practised like this but I rarely actually experience it happening like that. I mean with a particular asana, you can see pictures, sometimes see someone in class, find something new in a teacher’s cues — something that gives you a glimpse of where you might be going someday. But the whole vinyasa thing is much bigger. I guess if the person next to me in class was practising this way with audible ujjayi then that would help, but they’re usually not and my teacher doesn’t cue with such strict equality of breathing. I’ll have to figure this out. I suppose that’s why I’ve tried this a little at home. In class I usually find this very difficult. There’s some balance I haven’t got yet between my breath and the feeling of this initiating movement compared to the rhythm in class. I’ve always found this a weird aspect of group practice. And I can never figure out how it seems that the rest of the class are always magically in time whenever the teacher says “and on your next in-breath”… and bingo — everyone instantly moves. I often find I need to take another round of breaths before I’m in the right place. Is it me? Is it them? I guess if I was really practising pratyahara I wouldn’t notice this, much less start angsting about how to get back in synch with honesty — if indeed it matters than I’m not in synch. So finally, one big lesson I learned: I seem to be not very good at inhaling! Something to work on. But I’d never realised before how hard it is to inhale deeply when you’re on the move. I’m with you – I’m never synced up with the class on breaths, and I get so bewildered by how everyone moves together anyway. I’m pretty sure we all just inhale and move when the teacher says, “on the next in-breath.” 😉 But the breath is so powerful! I need to work on this. Great post! Thank you Liz. Glad you found it interesting. I look forward to hearing more about your experiences if you’re working on this too. I’m glad it’s not just me that finds this balance of self and group a tricky one. The key to a full inhale is to exhale fully first. When the lungs are “empty” (of course they aren’t actually!) then the body releases into a full inhalation. I find this focus really useful. I’m not sucking air in greedily, but just releasing and opening to being filled. It’s like a prayer! Bingo! The need to empty the lungs more fully was actually the feedback I had offered to my partner since her inhales seemed weaker than exhales. Why didn’t I apply that to my own practice????! I played around with this in class tonight and had some sense of what you mean by just opening to be filled. It’s like some seriously slow kapalabhati — focus on the exhale and let the inhale just happen.Thank you so much for the helpful comment. I definitely feel that I get a lot more out of classes that get the class to breathe along with the movements- having said that I often feel like my breathing gets out of whack with the classes too (i have some nose issues and had surgery on it last year which helped but it’s far from perfect!). There is just something so powerful about deepening your breathing and being so conscious of it during a practise though, and I try to focus on that rather than how I can get out of sync. The times when I have been able to do that have been some of the best classes I’ve experienced! 🙂 sounds like you are making some big strides in your pranayama practice babycrow, so inspiring! Thank you for saying so. It’s certainly feeling more powerful — at least in potential! I believe that the inhale should be less deep…. Long, but not forcibly deep. Deep chest breathing is a nervous system stimulator… It amps us up and releases adrenaline….. Makes you wired and buzzed and very hungry after too. Taking smaller inhales and longer slooooooower exhales counteracts this. Supports the nervous system. Obviously sometimes we need to deeply breathe to get as much air in a possible, in order to make a pRticlUr effort- but yoga, ideally is about breathing less. Learning to breath less. Inversion in particular and forward bends should be done with a slower, not as deep breath. Modern vinyasa and ashnatga teachers teach the opposite… Hence most of us are over breathing, I did it myself for years. 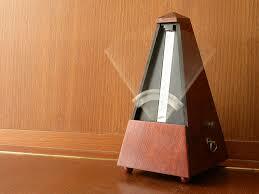 The steadiness of breathing with a metronome is wonderful though. You can still use it without over breathing. Oh that’s really interesting, thank you so much for the comment. What you says makes sense physiologically, but I feel slightly confused about my practice — I suppose some experimentation is in order! I’m just starting to realise the different effects different breathing has, just like the choice of asanas or in what order… So much to play with! !